We can’t hide our love for Shawnimals-there’s just something about the plush line’s black-eyed handmade creations that we can’t resist. They even have the ability to make a vegetable look cute. 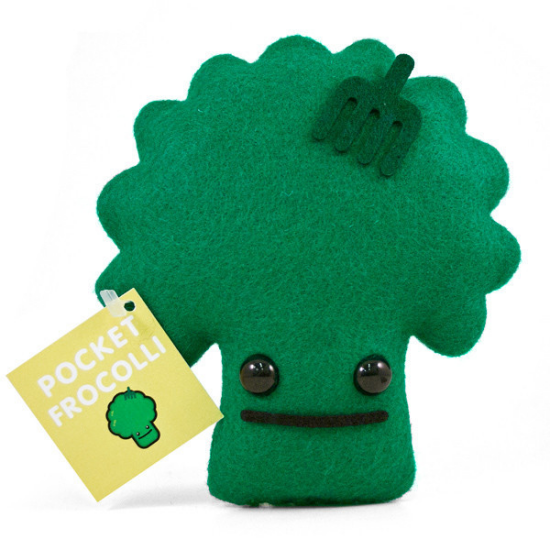 Introducing Froccoli, Shawnimals’ handmade broccoli plush toy. Yes, that is broccoli as a collectible toy. Unlike real broccoli, you won’t want to hide it. Froccoli is 4 inches tall and is priced as $12 USD in Shawnimals online store.